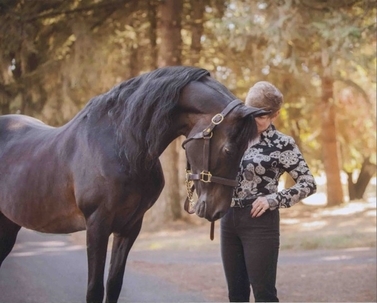 For the past 35 years, Carole Bradford has lived on 11 beautiful, wooded acres in Dexter, Oregon where she and her husband Jim have raised Morgan horses and enjoyed a quiet life with their animals. Though Jim passed away in 2015, Carole remains on that farm and continues to enjoy the home they built together. 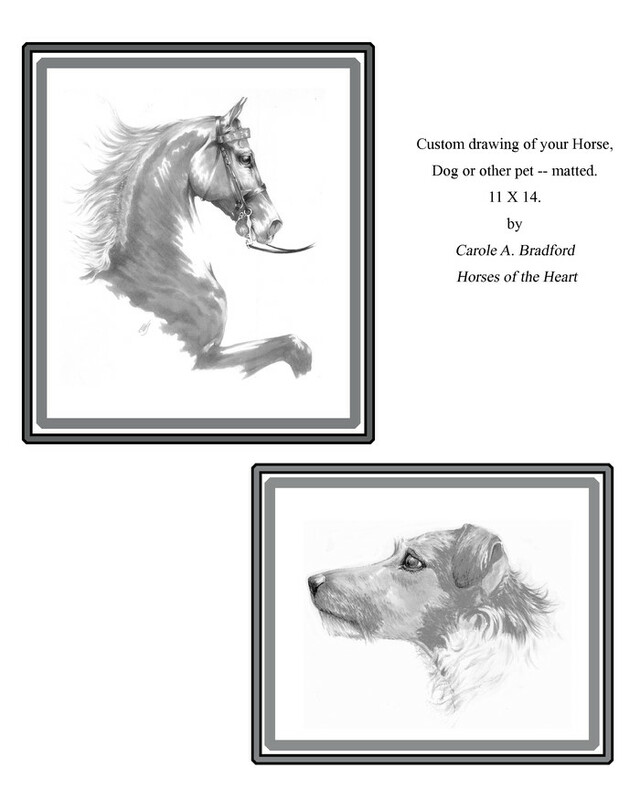 A completely self-taught artist, I began to seriously pursue equine art in the early 90's, relying primarily on books to learn the basic concepts of drawing and equine anatomy. 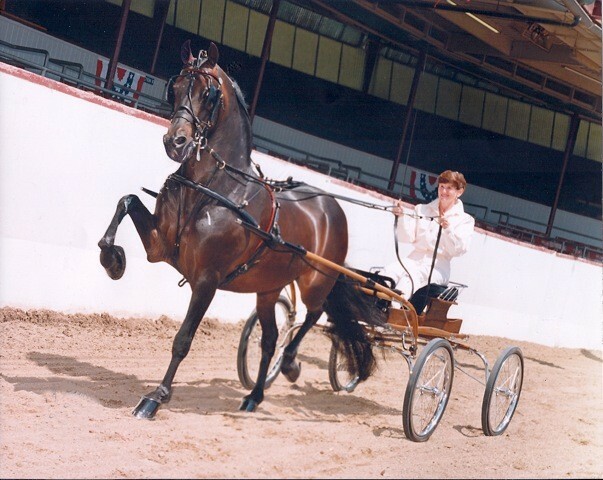 When the amazing Salem Command came into our lives in 1995, I found my muse. 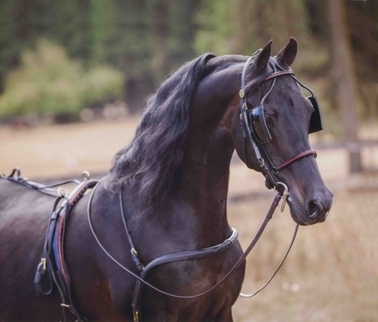 The astounding beauty and extraordinary spirit of this Grand National Champion Morgan Stallion became my inspiration, and "pieces" of him can be found in many of my drawings and bronze sculptures. From simple pencil sketches to elaborate life-sized bronzes, from creating a likeness of someone's beloved companion to rendering an animal who exists only in our dreams, the goal remains the same--that of capturing the varied and unique personalities of special individuals, as well as those universally recognizable traits and behaviors of the amazing creatures who "are not our whole life, but who make our lives whole".